When Vimeo OTT sites started offering a rental option, their conversion rate more than doubled, from 1.2% to 2.6%. That’s huge! Even more interesting? The same amount of people still bought a full-priced copy, so the new customers were almost completely from rentals. 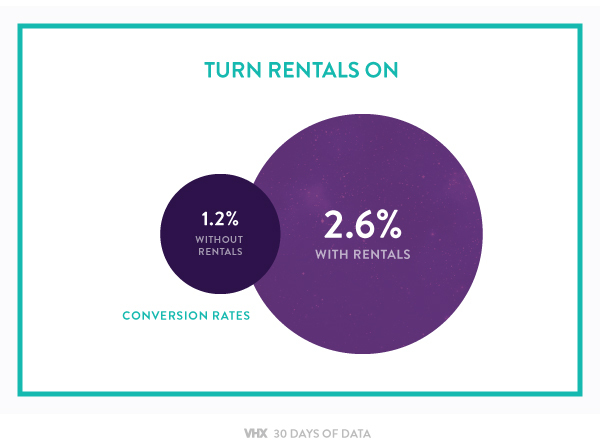 That means sales grew when customers had access to the (less expensive) rental option. Make sure you’re appealing to this group that’s more price-sensitive by offering a cheaper price point.